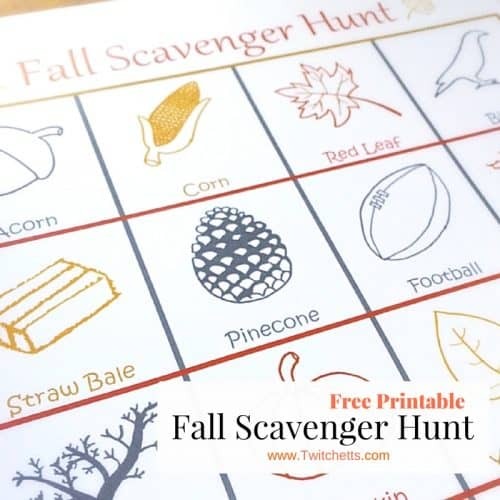 A printable fall scavenger hunt is an exciting way to get outside and enjoy the season. So grab a cup of warm pumpkin spice coffee and head out on an autumn adventure with your little ones! The air is crisp, the leaves are changing, and the pumpkins are sitting on everyone’s doorstep. Fall is officially here, and the kids are loving it. Little Miss loves collecting leaves and Mr. Monster is enjoying all the new words that fall brings to his vocabulary…like Ja-O-La-Ern. 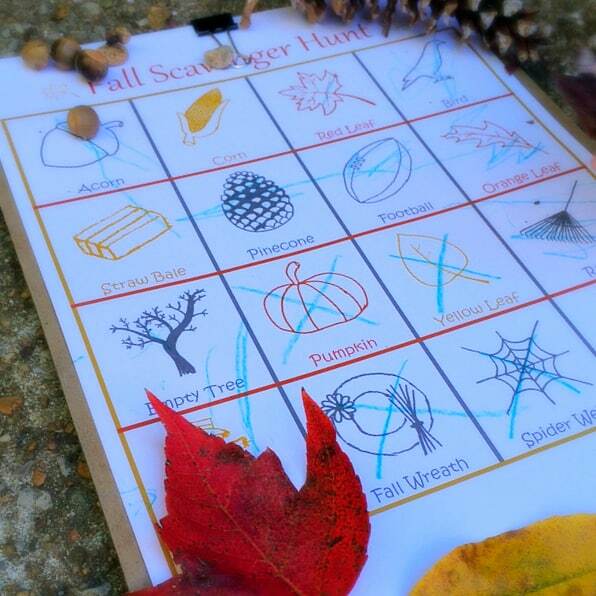 Our cousin suggested we make a Fall Scavenger Hunt, and we loved the idea. You can print 1 for each kid or 1 for the whole family! You will be amazed by how fast your little ones will start to spot the things on the sheet. We use simple illustrations to make it easier for the younger kids to identify what they are looking for. Different ages will see different things. One thing is guaranteed, you are bound to make some fun memories! Little Miss danced every time she found an item and Mr. Monster chased squirrels. They loved every minute. Our neighborhood doesn’t have sidewalks, so we crunched along in the grass. 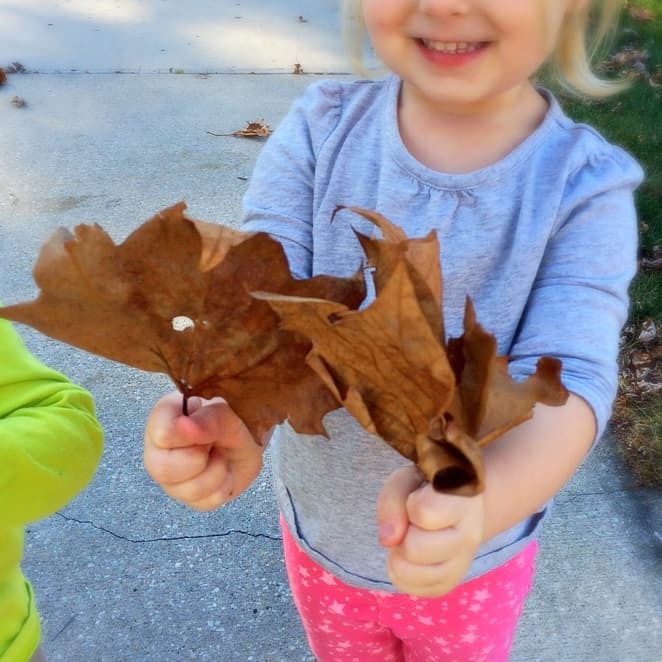 Little Miss added to her leaf collection. I swear she would have picked up EVERY leaf along the way. When we found the acorns, Mr. Monster sat on the ground and started picking them apart. I had to scoop up a whole pile just to get him moving again… Of course, he was over them by the time we got back to the house. In the end, it was a fun little outing around the block. The kids enjoyed exploring the neighborhood looking for new fall treasures. 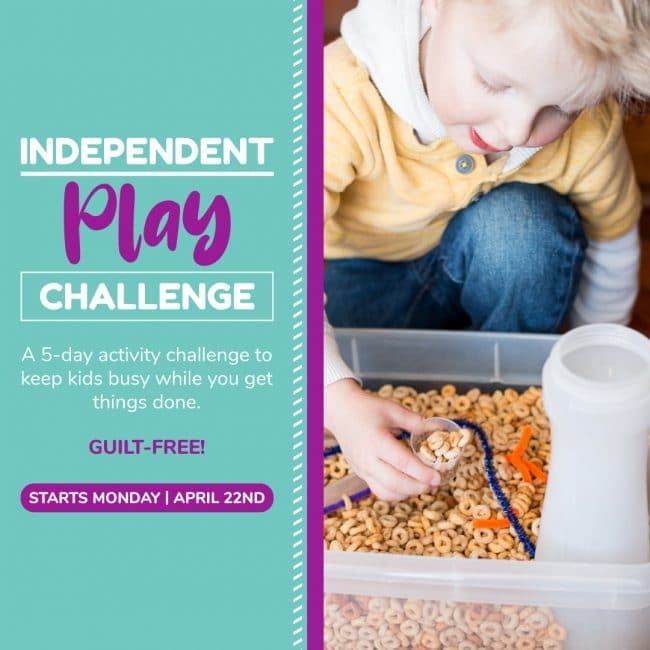 Fast little activities that get you out and about can make so many big memories. 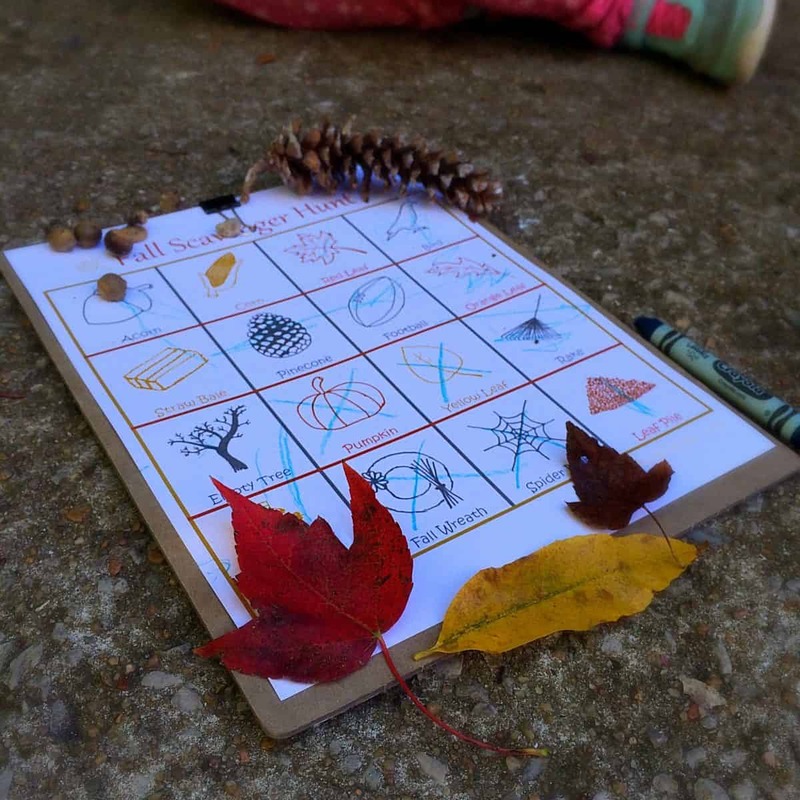 What will your kiddos find on their fall scavenger hunt? I think you will be surprised! 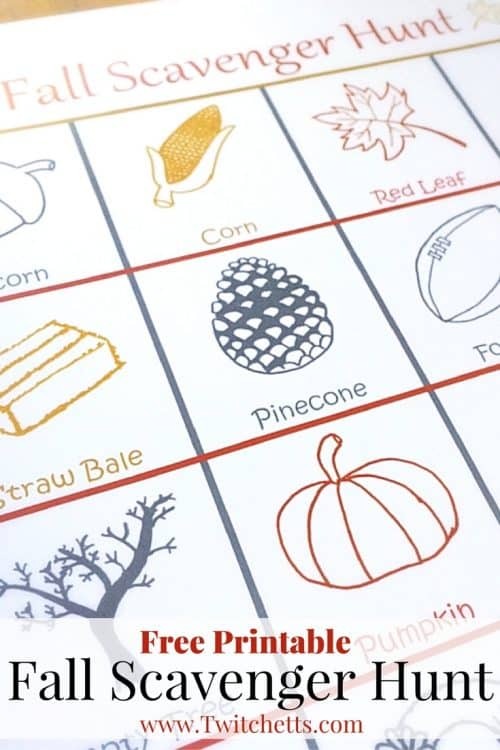 If you enjoyed this fall activity, please share!